Chapter 2: What are the Rules of Success? Chapter 12: Is Passive Income Possible with Options Trading? While anyone can make a few trades per day, and maybe even find some success while doing so, if you are interested in day trading on a serious level then there are many distinctive characteristics and traits that you should strive to embody on a regular basis. Likewise, there are certain strategies you should know in order to give yourself a fighting chance. If you are interested in doing more than simply surviving in the world of day trading, if you are looking to truly thrive then Day Trading: The Ultimate Guide to Day Trading is the book that you have been waiting for. Inside you will find everything you need to up your day trading game as quickly and effectively as possible. This includes characteristics that all good day traders should possess and how to implement them in your own life. You will also find important tips and tricks to maximize your overall trade effectiveness as well as frequently made mistakes and the easiest ways to ensure that you don’t fall into their traps. You will also find a complete breakdown of the tools that every competent day trader needs as well as specific suggestions to ensure that know what the professionals are using and where to find them. Finally, you will find five of the most effective strategies for gaining success while day trading with in-depth explanations to ensure you can put them into action ASAP. It doesn’t matter what markets, timeframes or risk/reward ratios that you favor, Day Trading: The Ultimate Guide to Day Trading has the right strategy for you. Being a successful day trader is all about having the knowledge, not just to know where the market is going but how to best take advantage of where it’s been. This is what separates the novices from the experts and those that boast a successful trade percentage from those who wouldn’t be able to trade at a 50 percent success rate if their lives depended on it. So, what are you waiting for? Get ready to tap into that knowledge and buy this book today. Congratulations on downloading Day Trading: The Ultimate Guide to Day Trading and thank you for doing so. For many traders, even those who are experienced working in various markets, taking the next step and day trading can be a daunting process. The speed at which day trading takes place, coupled with the much greater potential for loss, as well as gains, means that you would do well to learn as much as possible before diving in. 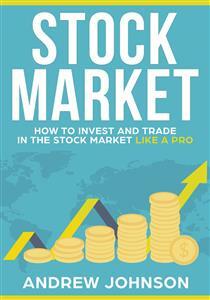 To that end, the following chapters will discuss everything you know to begin day trading on the right foot. First, you will learn about many of the characteristics that successful day traders embody. Next, you will learn tips for ensuring that your time spent day trading is as effective as possible as well as common mistakes that many day traders make so that you don’t fall into these common traps yourself. You will then learn about many of the tools that are crucial to a day trader’s success including specific options to consider based on what is currently popular with the day trading crowd. With the generalities out of the way, you will then read in-depth accounts concerning five different day trading strategies including the modified butterfly spread, value areas and order flow sequencing, forex options hedging, scalping Bollinger bands and trading future spreads. Each of these strategies will go beyond the basics in an effort to provide you with all the details to put them into practice yourself in an effort to maximize your profits as effortlessly as possible. While making a few successful trades every day is relatively straightforward, if you hope to take your skills to the next level there are several things you can strive to do to maximize your success. No two day traders are exactly alike, but the most successful in the field tend to exhibit many of the same positive traits and characteristics outlined below. Get a jump on the day: Just because the market doesn’t open until 9:30 am, that doesn’t mean this is when your day should begin. Successful traders spend the early morning hours checking in on the international markets so they know what the day is likely to bring. The Western economy doesn’t exist in a vacuum, understanding the foreign markets makes it easier to predict upcoming changes at home. Remember, having an accurate macro view is a key part of utilizing micro changes effectively. Become a master: In order to truly master a new skill, be it ballroom dancing or day trading, you need to be willing to put in the practice time. It takes 10,000 hours to become a true master which works out to eight hours a day for 42 months. While certain people are always going to get lucky, if you hope to see significant success you have to be willing to put in the work up front. Day trading is a marathon, not a sprint, slow and steady wins the race. Never stop learning: The most successful day traders are not the ones who have mastered existing plans and strategies, they are the ones who understand that new alternatives are always taking shape. Getting in the habit of always remaining on the lookout for the next big thing is one of the best ways to separate yourself from the amateur day traders who will never be truly successful. The market is constantly in flux which means that any analysis you do is going to have a shelf life of less a week, at most. Resting on your laurels when it comes to what you know is a surefire way to curtail your profits. Remember, learning leads to earning. Forge your own path: The best day traders don’t just automatically go along with the crowd. They trust their intuition and their research, even if it means making trades that aren’t on anyone else’s radar. The biggest wins come from trades that are against the mainstream and knowing when to execute is what separates average traders from masters. The key here is to know the difference between trades that have been hyped up and those that have potential based on facts alone. Much daily market movement is caused by sheep who follow what the crowd is doing, be a wolf instead. If you don’t feel as though your intuition is as strong as it could be, the solution is to keep studying and do more trading. Early success will improve your confidence and make it easier to trust in yourself no matter what. Be ready for anything: The best traders are the ones that know they have a quality plan and also have the ability to stick to it without letting their emotions get in the way. There is more to being successful than blindly following your plan, however, you also need to be capable of understanding when things have changed enough to make it irrelevant. The easiest way to do this is to know the state of the market as it currently stands and where it is likely to go while the trading day is in progress. Whatever you do, it is important to keep a firm grip on your emotions as there is no quicker way to fail than to start thinking with your heart as opposed to your head. Know yourself: In order to be a successful trader in the long term, it is crucial that you understand your strengths as well as your weaknesses. Doing so will enable you to capitalize on the one while shoring up the other. This is a key part of minimizing risk; which, in turn, is key to maximizing your profits. The easiest way to go about determining what your strengths and weaknesses are is to keep a trading journal. Keeping tabs on all the specifics related to each trade you make will allow you to look for patterns that otherwise might remain hidden. Once you are aware of any negative patterns you might fall into, you will be well on your way to mitigating them. Know when to act: You can do all the research you like, if you don’t have the ability to pull the trigger when the time is right then you will never be a successful day trader. The market is fickle, especially in the charts that day traders favor, which means that huge gains or losses can occur in moments. As such, you need to be able to make split second decisions and know that they are the right ones when money is on the line. This isn’t the same as following your gut or getting lucky, it is the skill to read new situations and react in real time and to be able to do so effectively time and again. Internal motivation: In order to be a successful day trader, you need to be able to motivate yourself to keep at it, even when the going gets tough. Making trading your job means that there will be no one looking over your shoulder telling you to get to work, that motivation will need to come from within. Only by looking within and finding the personal drive to succeed will you be able to do what needs to be done regardless of the cost. This is where the discipline to go from good to great comes from and it is not something that can be learned, you are either self-motivated or you aren’t. Have enough trading capital: In order to be a successful day trader you need to have the right amount of capital at your disposal. If every trade is life or death then this will skew your motivation and potentially keep you from making trades that will likely be successful. The most successful traders know their limits and never step outside them. No trader can be right one hundred percent of the time, and when the odds aren’t in your favor you need to know that you can come back from the loss and try again. This is why it is recommended that you never put more than two percent of your total trading capital into a single trade. Sticking to this rule will keep your potential for loss at a reasonable level and help to ensure that you are able to manage your emotions at all times. Ensuring an emotional distance from all of your trades means that you will always be able to listen to reason, improving your overall trade percentage in the process. Never be afraid to think things through: While making split-second trades is crucial to finding success as a day trader, that doesn’t mean you should do so without thinking the state of things through first. It is important to always know exactly what your decisions are going to lead to, even if it means missing out of the maximum amount of potential profit to do so. While trading, your goal should always be to make decisions that are proactive, never reactive. While day trading successfully is always going to involve a little luck, that doesn’t mean there is nothing you can do to improve your averages. Consider the following tips and tricks to help you end every day further in the black than when you started. A successful trade is always going to be built on a measured approach. To ensure this is the case you are going to want to begin by choosing the type of stocks that align with your goals as well as your temperament. Furthermore, you are going to want to take any external knowledge you might have into account when choosing the right stocks to focus on. As an example, if you were previously in the medical field then stocks based on pharmaceutical companies might be a good choice. Regardless, it is important to always take the following three main aspects of every trade into account before you make any decisions. Timeframe: First and foremost, you are always going to want to trade in a timeframe that you are comfortable with. Doing otherwise will simply lead to scenarios where you are not at your best because you are impatient or just plain nervous. If you are still trying to improve your overall trade percentage you will likely want to stick to the 5-minute charts until you can be truly comfortable dealing with the potential for risk that holding stocks overnight can cause. You will also need to consider if you prefer micromanaging trades all day every day or prefer doing all your research over the weekend to pursue weekly trades come Monday morning. Micromanaging trades leads to short-term gains while weekly trades produce long-term gains. Trading tactics: When it comes to choosing a methodology to use while trading, it is important to focus on what works for you instead of bouncing around based on what is popular in the moment. It is important to remember that every trader is going to have good days and bad days and if you can find a methodology that is successful at least 60 percent of the time then you are well on your way to success. Switching your tactics constantly is only going to skew your stats so you won’t be able to determine the true cause of either your successes or your failures. What’s worse, changing constantly will make it difficult for you to learn the intricacies of the methodologies you use, meaning they will be less effective in even more scenarios. Tools of the trade: Much like methodologies, it is important to find a few trading instruments that work for you and focus on making the most of them. This is preferable to using a little bit of everything as you will be able to more closely tailor what you use to match your trading style. The best way to determine what is going to be useful to your style is by focusing on instruments that match the timeframes you frequent most often. There are several different attributes that all day traders should strive to embody. While not everyone will naturally be able to access them from the start, they can all be improved with practice. Patience: After you have found a trade that you think is going to be fruitful, it is important to exhibit patience and find the perfect moment to pull the trigger. This is why it is useful to always determine your entry and exit points beforehand, so that there is less of a chance of emotion getting in the way. Additionally, if the trade doesn’t reach those numbers then you need to have the patience to wait for a better option to come along. If you decide to chase the potential for profit by altering your exit and entry points on the fly then all you are going to do is to skew the effectiveness of your plan. Once this occurs you lose regardless of the outcome as even if you profit from the sudden change you are reinforcing bad habits that will ultimately cause you harm in the long run. Belief: Having belief in the trading plan or system that you have created is crucial when it comes to day trading because no plan is flawless. Day trading plans only prove successful when used reliably in the long term and swapping things around constantly is going to skew the percentages against you. Remember, a good plan or system gives you an edge, otherwise you are essentially just gambling and there are more effective ways to gamble than with the stock market. Believe in yourself and your system and you will see greater profits overall. Objectivity: It is important to never get too attached to a given stock and always approach every trade from a point of objectivity. Losing this objectivity can cause you to make mistakes like doubling down on a stock that has gone out of the money or staying in past the logical exit point. The same goes for listening to outside sources. Once you have committed to a given trade the only source you will want to listen to is your trading plan, everything else may as well be white noise. Each trade should be analyzed based on its relative merits, if you do so then you should trust yourself and let the rest take care of itself. Expectations: Believing in yourself is an important part of day trading successfully but having measured expectations is crucial as well. Above all you need to have a realistic understanding of what your profits are likely to be before you start any new trade. Having realistic expectations in this way will help to prevent you from letting emotions get the better of you and lead to more reliable trades overall. Keeping your expectations in check means understanding the risk and reward of every trade. Remember, short term trades are more likely to lead to small, safe gains while long term trades are riskier and can end in greater gains. Motivations: It is important to understand your own motivations in order to be true to yourself and your trading style. It is also important to understand the various motivations that different commodity markets have if you hope to trade in them successfully. In order to determine the current motivations of the commodities you favor, the first thing you will want to do is to consider the major players in the market in question. With that in mind, you can then watch the commodities themselves and determine how they are moving and why. Once you are familiar with what is currently happening you can then compare that to the historical movement. When taken as a whole you can then determine how the moves the major players make affect changing market conditions and predict future movement from there. Keeping everything in mind at all times can be challenging, if you never put what you have learned into practice, however, then you will never grow as a trader. What’s worse, you will never turn a reliable profit. Once you know what you are doing you will then want to keep track of your trades as soon as they begin and don’t be afraid to bail on a trade when it suddenly goes south. Remember, a small loss now is always preferable to a bigger loss in the future. Additionally, it is important to keep in mind that there will not always be a worthwhile trade to be made. Just because you are a day trader doesn’t mean you need to be trading every second of every day. Learning the most intricate parts of the markets you favor isn’t something that can be taught, it can only be learned with practice. What’s more, sometimes mood is going to skew unexpectedly and through everything out the window for a time. Ultimately it all comes down to Warren Buffet’s number one rule, “the only hard and fast rule is to never lose money.” Stick to this rule and you can never go wrong. While it is impossible to become a master day trader without making, and learning from, mistakes. There are plenty of pitfalls that being aware of will allow you to avoid without stepping into them yourself. Remember, forewarned is forearmed. Chasing tops and bottoms: Some strategies are effective when put into play near potential turning points. These are in the minority however and picking tops or bottoms is a risky proposition, at best. It is common for many traders to invest extra money into securities that seem either too low or too high, breaking the cardinal rule of a two percent trading limit in the process. This impulse should be avoided at all cost in favor of focusing on the major move that is inbound. Starting to one side of range-bound markets will lead to better overall results practically all of the time. Not getting while the getting is good: Many day traders have an adequate entry plan but then move forward without determining an exit plan that is just as effective. This, in turn, leads to scenarios where they either get out too early, too late or end up with an investment instead of a trade. If you find it difficult to know when to exit gracefully, you will want to focus on adding detailed technical specifications to your exit strategy. Once you put these specifics into place, it is important to monitor them and change them as needed as the market evolves. Wasting time trying to get even: If you ever hope to be a master day trader then you need to factor failure into your long-term plan. Not only will this make it easier to prevent emotion from getting the better of you, it will help you make fewer mistakes down the line as well. Remember, it is important to focus exclusively on the numbers and not pin your self-esteem or personal image to individual trades. Focusing on the price action will allow you to block out thoughts about breaking even or magic numbers and improve your trade percentage as a result. Determining if a day was a success or a failure isn’t something you can do until the market closes and it is useless, and destructive, to try. Following relative trends: Existing trends in the market can be a potential signpost for future movement but they are far from guaranteed. It is completely natural for the market to fluctuate as much as 20 percent on either side of the average at any given time. As such, if you jump on an apparent trend without researching it thoroughly you can find yourself attached to a momentum play that will never materialize. Instead, it is important to consider each apparent trend through the lens of three distinct time frames for the best results. If you are fond of short-term trades then daily, hourly and weekly charts are recommended. If you prefer long-term trades then you will want to stick to weekly, daily, and monthly charts instead. Unduly narrowing your focus: Every time you make a trade it is important to remember that it doesn’t exist in a vacuum. Not taking this into account will cut into your trading capital with a steady stream of preventable losses. A better solution is to instead take a macro view on all of your current trades. This means keeping tabs on market leads and looking for capital that is likely to move in general derivatives. These derivatives are key as they highlight the underlying connections between markets that ensure they move in the same ways. Remember, the greater your scope the more effective you will be. Letting strong opinions affect your trading: While everyone has opinions, effective day traders know that letting them influence your daily trades is a recipe for disaster. The only thing you need to rely on in order to trade effectively is math, anything else is just going to get in the way. Observe and analyze political and economic events, don’t get caught up in them. Having the wrong timing: Finding a potentially profitable trade is only half the battle, you also need to learn when to pull the trigger for the best results. Making the right move at the wrong time costs day traders collectively millions of dollars a day. This is not to say that you need to wait for everything to align perfectly before you make your move. Rather, you are going to want to get a feel for the moment that things are right enough and act accordingly. To do so you are going to want to be aware of relative trend, understand the current strength of the weekly cycle and keep an eye on accumulation and distribution indicators. Above all else, never move on a hunch or tip without doing the required research as all you are likely to do is throw your commission fees away. Averaging down: While averaging down is rarely the primary plan, it is easy to let it happen if you aren’t actively planning against it. The resources spent holding a weak position can almost always be better spent elsewhere as every trade costs you time and weak positions are likely to cost you money as well. Keep in mind that every failed trade means that your next successful trade needs to pay out extra just to help you break even for the day and then even more to get ahead. If your starting trade capital isn’t that great, averaging down can represent days, or even weeks, you are going to need to spend crawling back to square one. If you subsist on short-term trades then you need to be ready to exit as soon as forward momentum slows or, at worst, starts to slip backward. Not accurately calculating risk and reward: Risk and reward are naturally a part of every trade. This doesn’t mean they are always equal, however, and if you don’t take the difference into account you can make the wrong moves without even realizing it. This is why it is important to set daily trading limits as it will help you to bring things into focus. If a given trade is risky enough to warrant possibly losing ten percent of your daily loss limit then you will want to ensure it will pay out at least twice, if not three times as much to balance out the risk. Regardless, making ten smaller trades that are more likely to be successful is almost always going to be a better choice. Perhaps more so than any other type of trading, the tools you employ while day trading are extremely important if you hope to turn a profit on a regular basis. Due to the tight timeframes that day traders operate under, every second counts which is why the tools, software and platforms outlined below bear serious consideration. Current hardware: You don’t necessarily need a top of the line laptop or computer in order to run a majority of the available trading software. You do, however, need to have something that exceeds the minimum required specifications if you want to avoid crashes or lag at the worst possible moments. Primarily, this means you are going to want to have plenty of available ram to allow you to multitask as needed. As you develop a need for more advanced software, your hardware needs are going to increase as well. While these costs can really add up when new hardware is purchased all at once, this is rarely necessary. Instead you can purchase parts piecemeal overtime and grow your hardware’s capabilities as your skill as a day trader improves. Once you really get serious, you are going to want to run at least two monitors at once in order to trade on one and do research and track results on the other. This, in turn, means that you will need a higher quality dedicated video card with space for multiple inputs as an integrated option just won’t cut it. At this point, depending on your system, you may need to look into liquid cooling options in order to ensure your system doesn’t overheat in the middle of a major trade. Additionally, you are going to want to invest in the highest available internet speed that you can find. Currently 1 gigabyte speeds are available in major markets, while something around 100 mbps is plenty fast for most systems. While having access to that speed is all well and good, it is important that you have a modem and router that can keep up as they will be the major bottleneck in this scenario. While you are in contact with your internet service provider, you are likely going to want to consider reinstalling a landline as well, just in case you find yourself unable to complete a trade in any other way. Having a hardline to your brokerage can be the difference between success and failure of a major trade, more than worth the $10 a month a phone line costs these days. Brokerage: Many traders choose their first online brokerage when they are first getting started in trading and never think about their choice again. This is a big mistake, however, because an advanced trader’s needs are very different from those of a beginner. As such, once you have some trading experience under your belt it is important to reevaluate your previous choice to determine if you truly made a good decision. First things first, in order to see what your available options are, you are going to want to visit the forums of your favorite day trading website and see what other traders have to say. Once you have a suitable list, the next thing that you are going to want to consider is the fees that each offers, as well as any fringe benefits they provide. If you already have a trading platform and other online tools that you have a strong preference for, take special care to consider other brokerages who support them or you risk having to learn the ins and outs of new software from scratch. It is also important to choose an online brokerage from your home country or, barring that, one that operates somewhere that provides proper oversight for such things. While some foreign brokerages might have cheaper fees, putting your money in the hands of a company without the right oversight puts you at risk of losing your trading capital every single day. Last but not least, you are going to want to see what type of customer service the brokerages that stand out to you provide. When it comes to customer service, you aren’t going to want to listen to reviews, it is best to see for yourself. To do so, you are going to want to call the brokerage in question and see how long it takes you to get in touch with a real person. While this won’t often be a necessity, if you have to call your brokerage it is likely an emergency and you will want to know that someone is waiting on the other end of the line. As a new potential customer, you may need to expect a call back from the brokerage. If they don’t get back to you with 24 hours, move on. If the brokerage treats new potential customers with such disdain, consider how they are likely to respond once they already have your money. Assuming their live support is up to par, you should then try emailing the brokerage with a few questions and see how quickly they respond as this will likely be your primary mode of contact in the future. While this can be time consuming, customer service is what separates the best brokerages from the pack and its importance cannot be over emphasized. Day trading tools online: There is no shortage of available online tools when it comes to helping you maximize your day trading efficiency. The first thing you will want to find is a financial calendar that meets your needs. Ideally, this will provide a collection of importance events, a variety of customizable dates and also details on several different markets. If you dabble in the forex market you will also want a currency convertor that shows the changes to various currencies in real time as well as convertor that displays the range a pair of currency have inhabited over a definable period of time. You should also find a calculator that will help determine pivot points as well as relevant Fibonacci numbers. These tools allow you to keep up to date on meaningful trends, keeping you in the know when it comes to important details that are easy to miss otherwise. Similarly, you also want to find a heat map that you trust to show you trades that are currently popular and a volatility monitor so you can keep tabs on the mood of the market. These days there are so many different trading platforms that finding the right one can be needlessly complex. The list below helps to simplify things somewhat by gathering together those that are most popular at the moment. This doesn’t mean you shouldn’t do your own research if there is something specific you are looking for it is only to help point you in the right direction. OptionsHouse.com: This is a low frills trading platform that is perfect for those who just want to focus on trading. It offers a suite of modifiable tools, no minimum account balance and a flat commission rate of $4.95 for each trade. InteractiveBrokers.com: At the other end of the spectrum, this site requires $10,000 up front, though the requirements aren’t as steep if you are under the age of 25. They take $.005 from each traded share and also offer a vast option base include forex, precious metals, futures and more. Ameritrade.com: Frequently referred to as the best trading platform on the market today, this site charges a flat fee of $9.99 per trade. They off a low required balance, multiple internal trading platforms and access to curated research. Alternately, they also offer a secondary platform called Trade Architect which is ideal for those who are looking for a simple and straightforward platform. TradeStation.com: This site boasts of its fast order execution and charges a varying commission on trades that is somewhere between $5 and $10 based on the volume of the trade. They also require a $5,000 minimum account balance and a $99 monthly fee though this is waved with a large enough monthly trade volume. Their trade platform is also renowned for being quite robust. Day trading software is evolving practically at the speed the market changes. As such, if you hope to maintain the greatest advantage possible it is important to update the software you use on a regular basis. The options below are some of the most commonly used software on the market today. eSignal: This software includes a highly rated mobile application along with charting and analyzing capabilities said to be the best in its class. Additionally, it provides multiple alternatives for charting and scanning both individual and groups of stocks. They also provide a wealth of customizable chart options when it comes to indicators including momentum MACD, distribution, volume, accumulation and more. If you are looking to continue your day trading education they also offer trading education seminars, newsletters and forums. Multichart: If you are looking for a way to view as many up to the minute data streams as possible, this is the software for you. Once you find the streams you are looking for it also allows you to create charts with data from numerous sources. The options for charting are vast as well; including, drawing, 3D charting, back testing and several strategy and management options. What’s more, it allows you to choose a pricing plan based on the tools you plan to use. NinjaTrader: This easy to use and affordable software is a great place to start if you are just starting to use more advanced day trading software. It features a simple and intuitive charting function that doesn’t sacrifice anything when it comes to power or stat tracking. It provides users the ability to track executions and account positions and even trade automatically. It also allows users to scan the market in real time according to predetermined criteria. Trade-Ideas: Knowing how to pick the few stocks that are going to move in a given day is a crucial part of day trading successfully. The best way to do so is via a stock scanning software and the best stock scanning software on the market is from Trade-Ideas. It includes loads of predefined searches including biggest gainers/losers, turbo breaks, volume spikes, HOD movers plus hundreds of different custom filters to ensure you can easily find what it is you are looking for whatever it may be.